Be the first to share your favorite memory, photo or story of Ileen . This memorial page is dedicated for family, friends and future generations to celebrate the life of their loved one. 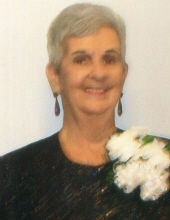 Ileen Smith Tart, 82, passed away Tuesday, April 2, 2019 at Rex Healthcare surrounded by her family. Ileen was born in Wayne County, NC on September 19, 1936 to the late T. Leroy Smith and Clyde Cooper Smith. She worked with North Carolina Vocational Rehabilitation for 25 years. Ileen will be greatly missed by her family and friends. The family will receive friends Saturday, April 6, 2019 from 10:00 until 11:00 a.m. at Seymour Funeral Home followed by a service in the chapel at 11:00 a.m. with Rev. Paul Rose officiating. Interment will follow in Wayne Memorial Park. Ileen is survived by her husband, J. C. Tart; step-daughter, Tammy Stokes and husband Donald; grandson, Christopher Stokes; and a special granddaughter, Sara K. Herring. In addition to her parents, Ileen was preceded in death by her brother, L.L. “Smokey” Smith. In lieu of flowers, the family requests memorials be made to Salem United Methodist Church, 2706 Salem Church Road, Goldsboro, NC 27530. To send flowers or a remembrance gift to the family of Ileen Smith Tart, please visit our Tribute Store. "Email Address" would like to share the life celebration of Ileen Smith Tart. Click on the "link" to go to share a favorite memory or leave a condolence message for the family.